Adalah kambing casmere yang berasal dari Australia. Diimpor ke Australia pada tahun 1830-1832. Kemudian mulai dikembang biakkan secara professional mulai tahun 1970an. The advertisement asks, “Got milk?” But what kind of milk? Twenty years ago, most people who routinely had milk with their morning cereal used whole milk. Today, with the concern for fat in the diet, many people have switched to low-fat milk or skim milk. And a significant number of people are opting for lactose reduced or lactose free milk. There are other alternatives: take goat’s milk, for example. Patients with diarrhea, asthma, bloating and irritability may be suffering from the most common food allergy: cow’s milk. Goat milk is a natural alternative to cow milk and can comfortably be consumed by many patients who suffer from cow milk allergies or sensitivity. Although goat milk, like cow’s milk and human milk, contains lactose, many people with lactose intolerance can drink goat milk. Why? It has been hypothesized that the reason lies in goat milk’s superior digestibility. Goat milk is more completely and easily absorbed than cow’s milk, leaving less undigested residue behind in the colon to quite literally ferment and cause the uncomfortable symptoms of lactose intolerance. It may also be that the patient is not lactose intolerant at all, but instead is one of the 1-in-10 people who are allergic to the major protein of cow’s milk … alpha S1 casein protein. The symptoms are almost identical to those of lactose intolerance. Both goat milk and human milk lack this offending protein. The digestibility of goat milk can be attributed to its casein curd, which is both softer and smaller than that produced by cow*s milk. The smaller and softer the curd, the more easily accepted by the human digestive system. Another significant difference between cow’s milk and goat milk is found in the composition and structure of fat. The average size of goat milk fat globules is about two micrometers, as compared to 2 1/2 to 3 1/2 micrometers for cow’s milk. These smaller sized fat globules provide a better dispersion and a more homogenous mixture of fat in the milk, another factor in making goat milk easier to digest. Goat milk contains more of the essential fatty acids (linoleic and arachidonic acids) and a higher proportion of short-chain and medium-chain fatty acids than cow’s milk. The fat in goat milk may be more readily digested and absorbed than cow milk because lipases attack ester linkages of such fatty acids more readily than those of longer chains. And, unlike cow’s milk, goat milk does not contain agglutinin; as a result, the fat globules in goat milk do not cluster, which helps facilitate digestion and absorption. Goat milk is a nutritious dairy option for many patients of different age groups and lifestyle needs. Young children and seniors can be especially sensitive to cow’s milk and so can certain ethnic groups, including Asians, Hispanics, African Americans and Native Americans. Goat milk is an excellent option for any patient who is cow milk or soy milk sensitive and is necessarily concerned with obtaining adequate calcium from a natural dietary source. Goat milk is also an excellent source of dietary calcium important in the prevention of high blood pressure, osteoporosis and other bone-related problems. For menopausal women, goat milk provides 13% more calcium than cow’s milk and can be consumed comfortably even by those women with milk sensitivity. While it is often recommended that children who have problems digesting cow’s milk change to vegetable protein soy-based formula, that is not always the answer. An estimated 20%-50% of children with cow milk protein intolerance will react adversely to soy proteins. Goat milk is a natural milk that children like and can consume comfortably, even if they are sensitive to cow’s milk and/or soy formula. The nutrient composition of goat milk is very different than that of cow’s milk. In addition to containing 13% more calcium than cow’s milk, goat milk also has 25% more vitamin B-6, 47% more vitamin A, 134% more potassium and 350% more niacin. Goat milk is also higher in chloride, copper and manganese and contains 27% more of the essential nutrient selenium. Goat milk contains none of the controversial Bovine Growth Hormone (BGH). Luke B, Keith LG. “Calcium requirements and the diets of women and children.” Journal of Reproductive Medicine. Haenlein GFW. “Role of goat milk in human nutrition.” International Conference on Goats, University of Delaware. For many years goats milk has been an excellent source of nutrition for many Americans who could not consume cows milk. 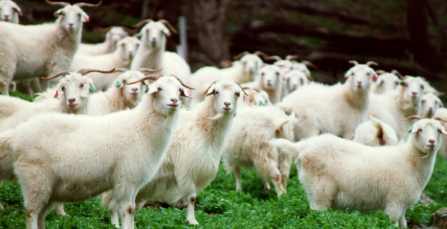 In fact more people in the world drink goats milk than cows milk. There are many testimonials concerning the health benefits of drinking goats milk and consuming goat’s milk products. Initially, these testimonials were mainly concerning babies who were allergic to cows milk or infant formulas, or from adults with digestive problems. In recent years there have been many additional testimonials of how goats milk is an excellent supplementary source of nutrition to end stage cancer patients and HIV patients. The testimonials state that it greatly increases quality of life for these individuals by having a soothing effect on the gut and helping to maintain body weight, when most other food are no longer digestible. This may help explain the large number of testimonials of the increased digestive quality of goats milk shared by people with digestive disorders. Surely there may be many other differences that are not explained yet using scientific research. We feel that so many testimonials, from so many different people, for so many years cannot be wrong. We challenge you to put goats milk to the test and see if it can help you or someone you know. Drake Family Farms, one of Utah’s historic Centennial Farms is pleased to announce they now have delicious fresh goat milk available for sale to the public at their Grade A Goat Dairy conveniently located in West Jordan. We have a self service farm store located at our farm. Our Farm Store is open from 8:00 AM-10:00 PM Monday-Saturday. We are closed on Sunday. The farm address is 1856 Drake Lane. Drake Lane is 7400 S. on the Salt Lake county Road system. To get to our farm you will need to turn onto Drake lane (7400 S.) from Redwood Road. This will be a right hand turn if you are heading South on Redwood Road and a left hand turn if you are heading North on Redwood Road. Look for the Goat Dairy sign and the Centennial Farm marker at the bottom of the Lane. There is also a green street sign that says “Drake Lane”. Once you are on Drake Lane, you will be heading west. After you go up the lane a fair bit, there will be a light red brick house on your right with another Centennial farm marker in the front yard. Drive past that house and look to your right and you will see our little farm store. There is also a park bench there in front of a pen of goats. Bring the kids and sit awhile watching the goats. The goats in that pen our “retired goats” that are taking it easy. In the spring and summer we will try and put a couple retired mother goats in there with some baby goats. It is relaxing to stop and watch the baby goats play. Since our farm store is self service please bring correct change for your products. Our pasteurized milk is $4 for a half gallon bottle and our Raw milk is $5 for a half gallon bottle. If for some reason we are out of milk please call us at (801)255-MILK (6455), or come to our house. Our house is North of the farm store and is a white brick house. We always try to keep a good selection in the farm store but we often have someone from out of town come through and buy up large quantities of milk so sometimes we are out and need to bottle more milk. Sorry we can’t always anticipate what the demand will be for a given day and we don’t want to overstock the store and compromise the freshness of our delicious milk. Our farm is a family farm where all the goats have names and receive only the highest standard of humane and loving care. 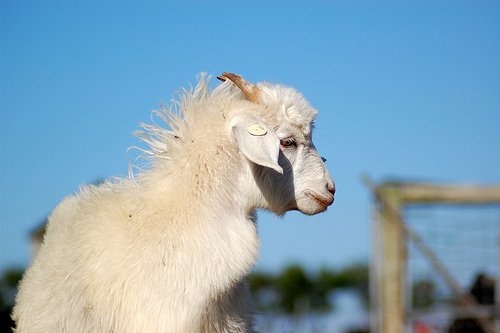 Over the years our goal has been to produce superior quality delicious tasting goat milk. Our milk has no additives, preservatives, artificial colors, or artificial flavorings. Our milk is produced using only the finest feed ingredients and no artificial hormones or rBST (Bovine Growth Hormone). If you would like more information on our goat milk or cheese please call us at (801)255-1615. Klein, S.; Cohn, S.M. ; Alpers, D.H. The alimentary tract in nutrition: a tutorial. Shils, M.E. ; Olson, J.A. ; Shike, M.; Ross, A.C. eds. Modern nutrition in health and disease. Baltimore: Williams and Wilkins; 1999: p. 623. Traul, K.A. ; Driedger, A.; Ingle, D.L. ; Nakhasi, D.; Review of the toxicologic properties of medium-chain triglycerides. Food and Chemical Toxicology, 2000 Jan, 38(1):79-98. Jenkins, D.; Wolever, T.; Jenkins, A. Fiber and other dietary factors affecting nutrient absorption and metabolism. Shils, M.E. ; Olson, J.A. ; Shike, M.; Ross, A.C. eds. Modern nutrition in health and disease. Baltimore: Williams and Wilkins; 1999: p. 683. You may ask ‘raw goat milk’? Why should I care about it. American’s have been ‘culturized & advertised’ into associating milk with cows when in fact, goat milk is far more healthy for humans. 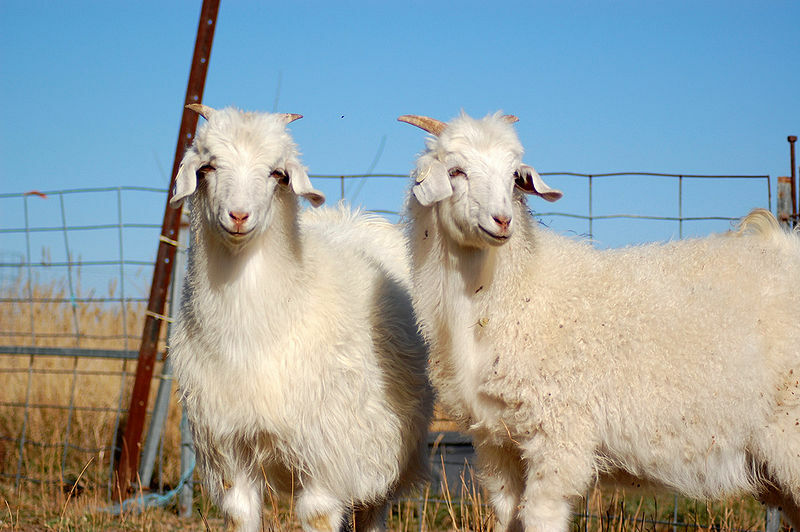 In Maud, Texas goat milk is all we drink – it’s God’s complete food! According to the Journal of American Medicine, “Goat’s milk is the most complete food known.” It contains vitamins, minerals, electrolytes, trace elements, enzymes, protein, and fatty acids that are utilized by your body with ease. In fact, your body can digest goat’s milk in just 20 minutes. It takes 2-3 hours to digest cow’s milk. ‘You shall have enough goats’ milk for your food, for the food of your household, and the nourishment of your maidservants’ (Proverbs 27:27). Goat’s milk does not suppress the immune system. Goat’s milk alkalinizes the digestive system. It actually contains an alkaline ash, and it does not produce acid in the intestinal system. Goat’s milk helps to increase the pH of the blood stream because it is the dairy product highest in the amino acid L-glutamine. L-glutamine is an alkalinizing amino acid, often recommended by nutritionists. Goat’s milk does not product mucus; it does not stimulate a defense response from the human immune system. Goat’s milk is a rich source of the trace mineral selenium, a necessary nutrient, however, for its immune modulation and antioxidant properties. Easier digestion allows the lactose to pass through the intestines more rapidly, not giving it time to ferment or cause an osmotic imbalance. Goat’s milk also contains 7% less lactose than cow milk. Additionally, most lactose intolerant people have found that they can tolerate goat’s milk and goat milk products. Goat’s milk has long been used and recommended as an aid in the treatment of ulcers due to its more effective acid buffering capacity. Natural milk contains many bioactive components, which serve to retard the growth of harmful organisms, and to protect the health of the person consuming them. Goat’s milk contains the same important bioactive components as mother’s milk. The importance of feeding of infants with goat milk has been recognized since ancient days. In developed countries like U.S and South Africa, the goat milk is specifically marketed for the infants. The milk allergy problem common in infants fed with cow milk is rarely encountered when replaced with goat milk and it plays an important role in the formulation of infant formula. 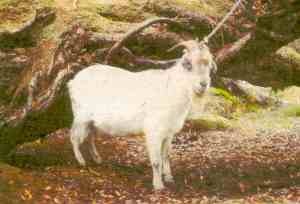 This is a proof of the medicinal property of goat milk. The symptoms like gastrointestinal disturbances, vomiting, colic, diarrhoea, constipation and respiratory problems can be eliminated when goat milk is fed to the infants. The reason cited for the relief in respiratory problems when fed with goat milk can be attributed to the structure of casein micelle of the goat milk. Pasteurized goat milk is well tolerated by the infants with gastro intestinal or respiratory symptoms. Fermented goat milk products are ideal for the persons allergic to cow milk. The goat milk is naturally homogenized. It forms a soft curd when compared to cow milk and hence helps in easy digestion and absorption. Regular intake of goat milk significantly improves the body weight gain, improved mineralization of skeleton, increased blood serum vitamin, mineral and haemoglobin levels. These points are considered advantageous when compared to consumption of human milk. The other medicinal property of goat milk is higher concentration of medium chain fatty acids which play an important role in imparting unique health benefits in mal-absorption syndrome, steatorrhoea, chyluria, hyperlipoproteinaemia and during conditions of cystic fibrosis, gall stones and childhood epilepsy. The medium chain fatty acids minimize cholesterol deposition in the arteries, aid in dissolving cholesterol and gallstones and significantly contribute to normal growth of infants. Delicious with a slightly sweet and sometimes salty undertone, goat’s milk is the milk of choice in most of the world. Although not popular in the United States, it can be found in markets and health foods stores throughout the year. Unlike cow’s milk there is no need to homogenize goat’s milk. While the fat globules in cow’s milk tend to separate to the surface, the globules in goat’s milk are much smaller and will remain suspended in solution. When individuals have sensitivity to cow’s milk, goat’s milk can sometimes be used as an alternative. 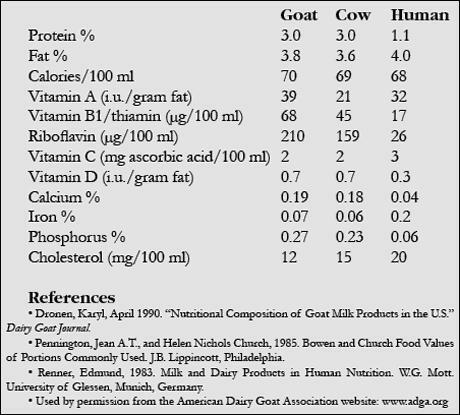 This chart graphically details the %DV that a serving of Milk, goat provides for each of the nutrients of which it is a good, very good, or excellent source according to our Food Rating System. Additional information about the amount of these nutrients provided by Milk, goat can be found in the Food Rating System Chart. A link that takes you to the In-Depth Nutritional Profile for Milk, goat, featuring information over 80 nutrients, can be found under the Food Rating System Chart. Goat’s milk is a very good source of calcium and the amino acid tryptophan. It is also a good source of protein, phosphorus, riboflavin (vitamin B2) and potassium. Perhaps the greatest benefit of goat’s milk, however, is that some people who cannot tolerate cow’s milk are able to drink goat’s milk without any problems. It is not clear from scientific research studies exactly why some people can better tolerate goat’s milk. Some initial studies suggested that specific proteins known to cause allergic reactions may have been present in cow’s milk in significant quantities yet largely absent in goat’s milk. The alpha-casein proteins, including alpha s1-casein, and the beta-casein proteins were both considered in this regard. However, more recent studies suggest that the genetic wiring for these casein proteins is highly variable in both cows and goats and that more study is needed to determine the exact role these proteins might play in the tolerability of goat’s milk versus cow’s milk. Other research has found some anti-inflammatory compounds (short-chain sugar molecules called oligosaccharides) to be present in goat’s milk. These oligosaccharides may make goat’s milk easier to digest, especially in the case of compromised intestinal function. In animal studies, goat’s milk has also been shown to enhance the metabolism of both iron and copper, especially when there are problems with absorption of minerals in the digestive tract. These factors and others are likely to play an important role in the tolerability of goat’s milk versus cow’s milk. Allergy to cow’s milk has been found in many people with conditions such as recurrent ear infections, asthma, eczema, and even rheumatoid arthritis. Replacing cow’s milk with goat’s milk may help to reduce some of the symptoms of these conditions. Goat’s milk is a very good source of calcium. Calcium is widely recognized for its role in maintaining the strength and density of bones. In a process known as bone mineralization, calcium and phosphorus join to form calcium phosphate. Calcium phosphate is a major component of the mineral complex (called hydroxyapatite) that gives structure and strength to bones. A cup of goat’s milk supplies 32.6% of the daily value for calcium along with 27.0% of the DV for phosphorus. In comparison, a cup of cow’s milk provides 29.7% of the DV for calcium and 23.2% of the DV for phosphorus. Calcium also plays a role in many other vital physiological activities, including blood clotting, nerve conduction, muscle contraction, regulation of enzyme activity, cell membrane function and blood pressure regulation. Because these activities are essential to life, the body utilizes complex regulatory systems to tightly control the amount of calcium in the blood, so that sufficient calcium is always available. As a result, when dietary intake of calcium is too low to maintain adequate blood levels of calcium, calcium stores are drawn out of the bones to maintain normal blood concentrations. Including goat’s milk and other dairy products in your healthy way of eating may reduce your risk of metabolic syndrome by up to 62%, shows the 20-year Caerphilly prospective study involving 2,375 Welsh men ranging in age from 45-59. Researchers have proposed that conjugated linolenic acid (a healthy fat found in greatest amounts in dairy foods from grass fed cows and goats) may improve insulin action and reduce blood glucose levels. J Epidemiol Community Health. 2007 Aug;61(8):695-8. Practical Tip: In addition to foods made from goat’s or sheep’s milk, you can also increase your calcium intake by making sesame seeds; spinach; blackstrap molasses; and collard, turnip or mustard greens, regular additions to your healthy way of eating. 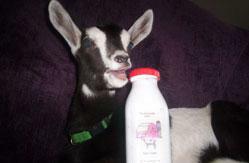 When purchasing goat’s milk, always use the “sell-by” date as a guide to the shelf life of the goat’s milk. Smell the top of the container to make sure that the milk does not smell of spoilage, which could have been caused by being stored for a period of time outside of the refrigerator. Select goat’s milk from the coldest part of the refrigerator case, which is usually the lower section. Goat’s milk should always be refrigerated since higher temperatures can cause it to turn sour rather quickly. Always seal or close the milk container when storing it to prevent it from absorbing the aromas of other foods in the refrigerator. Avoid storing goat’s milk in the refrigerator door since this exposes it to too much heat each time the refrigerator is opened and closed. Next time you want a glass of milk, try goat’s milk instead. Goat’s milk yogurt makes a wonderful base for savory dips. Simply mix in your favorite herbs and spices and serve with crudité. Crumble some goat’s cheese on a salad of romaine lettuce, pears and pumpkin seeds. Crumbled goat cheese is a wonderful rich topping for split pea soup. Add extra taste and protein to a vegetable sandwich by including some goat’s cheese. Soft, spreadable goat cheese is an exceptional accompaniment to crusty whole grain bread or crackers and fruit. Top sliced tomatoes with crumpled goat cheese and fresh basil. Drizzle with balsamic vinegar and extra virgin olive oil. Goat’s milk is a very good source of calcium. It is also a good source of phosphorus, riboflavin (vitamin B2), protein and potassium. For an in-depth nutritional profile click here: Goat’s Milk. In addition to the nutrients highlighted in our ratings chart, an in-depth nutritional profile for Milk, goat is also available. This profile includes information on a full array of nutrients, including carbohydrates, sugar, soluble and insoluble fiber, sodium, vitamins, minerals, fatty acids, amino acids and more. Elwood PC, Pickering JE, Fehily AM. Milk and dairy consumption, diabetes and the metabolic syndrome: the Caerphilly prospective study. J Epidemiol Community Health. 2007 Aug;61(8):695-8. 2007. PMID:17630368. Kesse-Guyot E, Bertrais S, Duperray B, Arnault N, Bar-Hen A, Galan P, Hercberg S. Dairy products, calcium and the risk of breast cancer: results of the French SU.VI.MAX prospective study. Ann Nutr Metab. 2007;51(2):139-45. Epub 2007 May 29. 2007. PMID:17536191. More of the World’s Healthiest Foods (& Spices)!